It’s easy to understand the lawyer’s perspective and the real worries of those she described. However, it hardly needs to said that regimes established on oppressive dictatorial foundations in the end always come crashing down. And when this happens there’s little else in place to maintain the humdrum necessities of a healthy economy and semblance of civil society. The 2011 Egyptian revolution has been likened unfavourably to the case of a dog that chased cars, finally caught one and then realised it couldn’t drive. The Muslim Brotherhood shrewdly played a long game, carefully standing back from the protests in Tahrir Square and elsewhere. Following Hosni Mubarak’s departure, in the absence of any other established opposition, the Brotherhood was seen as the only national network with any kind of alternative identifiable political strategy – except of course for the army. And perhaps the army played an even longer game, standing back even further. The grinding misery of fuel shortages miraculously ended with the army back in power, so too the greater national debt crises disappeared from the headlines – aided of course by the curtailment of a free press. 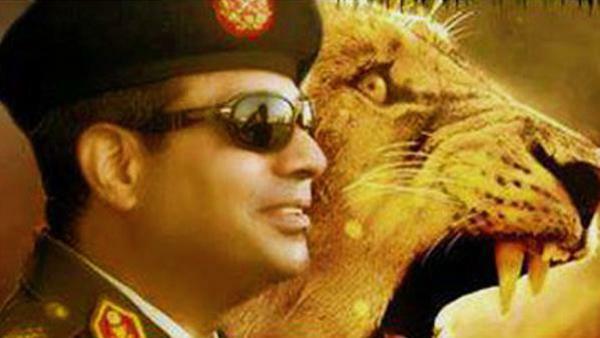 Was this all a case of ‘give ‘em enough rope’, a strategic military manoeuvre using the overwhelming momentum of popular disaffection to once again propel the army, in the guise of General Sisi, from servant to master? Where does Egypt go from here? Even the usually unifying October 6th commemorations of 1973’s Arab-Israeli War only served to stoke unrest, with estimates of over fifty dead in the capital alone. Most Egyptians want no more than to get on with their lives in peace. However, against the background of a stalled economy, the FT describing Egypt’s tourism as ‘having fallen off a cliff’, 16% adult urban jobless and shocking levels of youth unemployment, there’s little sign of calm returning to the streets – Egypt’s game may be very long indeed.